Sony has finally officially announced that the PS3 Dualshock 3 controller with the much-missed vibration function will be released in the UK on Wednesday, July 2nd for £39.99. The Dualshock 3 has already been on sale in Japan since last November and it will be widely welcomed by PS3 gamers in the UK, with many having missed the familiar 'vibing' controllers they knew and loved so much back in the days of PlayStation 2. 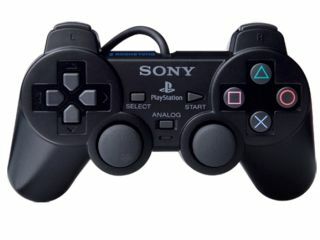 "We are delighted to confirm that Dualshock 3 will be released in SCEE territories in early July. We hope this will add to the intense gaming experience for our fans, as we continue to evolve PS3, its software and its peripherals." SCEE assures us that 'almost all' future releases will support the Dualshock's vibration function and that it will also be compatible with many titles already on the market, provided you have firmware upgrade 1.94 installed on your PS3. The Dualshock 3 also retains the high-precision, high-response motion-sensitive aspects that gamers have come to expect from the much-maligned Sixaxis controller, which will now be phased out.